Alamac American Knits - is a North Carolina based textile manufacturer primarily of knitted fabrics for the uniform and career apparel market. The fabrics are high value add that must be able to hold colors through industrial washings over multiple years and be able to release stains, dirt, etc. and provided on a small batch, quick turn basis at the wholesale level. The Company was a profitable division purchased out of a larger bankrupt entity. Cognex - Long recognized as the worldwide technical and market share leader in the expanding field of industrial optical character recognition applications, this public company sourced its original two rounds of venture capital from a limited (3) consortium of New England based funds co-led by Prime Capital prior to its going public. FEI Products - was a contract manufacturer of Paragard, an intrauterine device (IUD) for contraception. During ownership, FEI purchased the underlying NDA for the product which enabled the Company to begin selling and distributing the product directly to the market, significantly changing the operations and increasing the revenue and profitability of the Company. Hale Groves - the largest direct marketer of citrus in the United States, selling gift baskets and related items to consumers via catalog and the internet. Lifecodes - A new start by Prime Capital and prior to its acquisition in the late 1990's by a publicly held bio technology suitor, Lifecodes was a pioneer in the development of proprietary biologicals and instrumentation that led to an explosion in the revenues associated with human identity product and services. At the time of its competitive acquisition process, Lifecodes owned the second largest chain of global DNA service providers. National Fairways, Inc. - Beginning in 1992, National Fairways became a major owner and operator of public and private golf courses. In 1994 it also became a major developer of high-end private golf clubs. At one time, National Fairways and its affiliates owned and operated more than 20 courses in Florida, Pennsylvania, New Jersey, New York, Connecticut and Rhode Island. As a developer, National Fairways built three private clubs which are recognized as among the best nationally. In 1998 and 1999, National Fairways sold most of its public courses at large gains. In 2000, National Fairways formed Fairways International Clubs ("FIC") which took on several new projects in New Jersey, Connecticut and Arizona; In 2002, FIC opted to sell its development assets. National Interstate, Inc. is a highly successful Cleveland based specialty P & C insurance company which went public in 2005. The Company was originally organized by Prime Capital and resulted in returns of more than 15 times. Sonic Corp. is a publicly traded fast food franchiser with locations predominantly in the sunbelt. 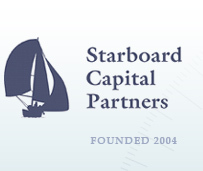 A predecessor to Starboard re-capitalized this company and subsequently took the Company public. An initial investment of $2 million became publicly traded stock with values in excess of $100 million within two years. Marc Bergschneider served as a Director. 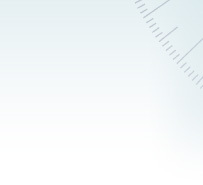 Unimast, Inc. is a manufacturer of steel studs for building construction. A predecessor of Starboard completed a leveraged buyout of the Company and later sold the company to Wheeling Pittsburgh Steel Company. Marc Bergschneider served as a Director. © 2019 Starboard Capital Partners, LLC. All Rights Reserved.